The identities of many political donors can no longer be hidden behind a nonprofit shield, a D.C. Circuit judge recently ruled, in a case that started in Ohio. The Supreme Court’s decision not to issue an emergency stay on that ruling sent election groups around the country scrambling to comply with new disclosure rules just weeks before Nov. 6. After Ohio Senator Sherrod Brown faced a $6 million attack campaign funded by anonymous donors in 2012, Citizens for Responsibility and Ethics in Washington complained to the FEC that Crossroads GPS, an major conservative nonprofit, should have to disclose their donors. When the FEC dismissed their complaint, they sued in 2016. On Aug. 3, the D.C. Circuit Court agreed with CREW, and gave the agency 45 days to adopt a new rule. On Tuesday, the Supreme Court declined to grant an emergency stay in the case. Attorneys can still seek an appeal. Unlike tax-deductible organizations (i.e. charities), tax-exempt organizations (such as labor unions and chambers of commerce) can give to political causes, so long as that is not their “primary purpose.” Super PACS can raise unlimited funds but under campaign finance laws they cannot hide their donors. “The thing is, the IRS has never defined what ‘primarily’ means,” said Robert Maguire, Political Nonprofit Investigator at the Center for Responsive politics. Maguire said that often a group will run ads telling people that a candidate should know better than to support a policy, and classify that as an education expenditure on IRS filings. But 60 days before election, they trigger the FEC reporting window. “Now that they have to report everything, that candidate that they have been ‘educating’ constituents about, for the past seven or eight months, they just switch over and say, ‘do not vote for this person.’ He said. 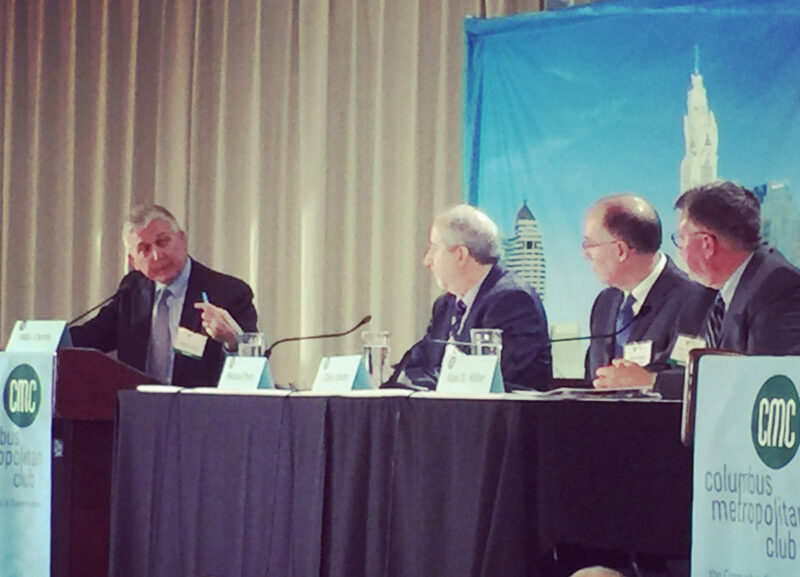 Marc Owens, former head of the Tax Exempt and Government Entities Division at the IRS, said nonprofit regulation is difficult from a political and financial standpoint. “Resources have been cut dramatically though the work has increased,” he said. As of Wednesday, nonprofits had spent about $62.5 million on the election according the Center for Responsive Politics, a nonpartisan group that tracks election spending. 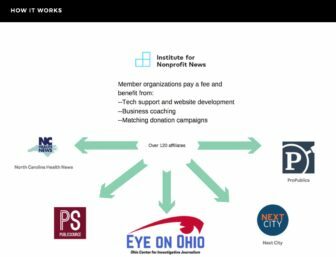 The Ohio Center for Investigative Journalism contacted all 12 nonprofits, both liberal and conservative, who have so far contributed money to political ads, according to the FEC. Twelve did not respond to repeated requests to comment. Scott Hogenson, a spokesman for the 60 Plus Association, said that they don’t list donors, but that their decision to be a nonprofit had nothing to do with hiding donors, as they have been registered as a nonprofit for over 25 years. “Our goals for the future are the same as our goals for the past. We want to do everything we can to preserve social security, medicare, and to do what we can to educate people on issues of importance to America’s senior citizens,” he said. According to a report released this week on undisclosed money in politics, nationally, groups reported spending more than $800 million on “dark money” campaign activities to the FEC between January 2010 and December 2016. That figure that doesn’t include many internet and social media advertisements, which weren’t part of the 2002 overhaul of campaign finance laws. The issue became especially pronounced after the Supreme Court’s 2010 Citizens United ruling, said Michael Beckel, research manager at Issue One, a nonpartisan ethics think tank based in DC who released the report. “Citizens United led to an explosion in dark money spending. This ruling allowed certain corporations, and certain nonprofit corporations, which generally aren’t required to disclose their donors, to spend unlimited money on advertisements that expressly call for the election or defeat of candidates. So we see brand-new vehicles popping up, like mushrooms after a rain,” he said. Take, for example, the Conservative Leadership Alliance. The group CLA Incorporated says it’s a 501(c)(4) tax-exempt organization and so far it has spent, according to Federal Election Commission Records, $1,579,330 dollars in this election cycle, including $56,500 in Ohio. CLA PAC is a Super PAC that has funded $93,200 in ads. Both the incorporated and PAC versions of CLA are registered to the same address and have the treasurer named in their filings— Marc Himmelstein, a former FirstEnergy lobbyist. The Conservative Leadership Alliance Inc. says on its website that it’s a 501(c)(4) nonprofit. Eye on Ohio filed an information request with the IRS for CLA’s tax documents, but the IRS has no record of its existence. The group’s advertisements claim that they are trying to promote conservative leadership. But their negative coverage helped to sink the primary candidacy of Christiana Hagan, a proud conservative and member of the Ohio legislature. Hagan landed on CLA’s bad side after she refused to compromise on a core tenet of the conservative platform— closely guarding taxpayers’ hard-earned dollars. Hagan refused to support a measure to allow FirstEnergy to collect an additional $300 million annually from ratepayers. Himmelstein did not respond to multiple requests for this article. However, CLA Inc.’s website was registered to an Iowa home address which according to property records was recently owned by Charles “Chuck” and Stephanie Laudner. Chuck Laudner worked as Trump’s Iowa director. When contacted by phone, Stephanie Laudner said that CLA Inc had already been dissolved which is why the website identified them as a 501(c)(4) even though they are not currently in the IRS database. When asked why the IRS wouldn’t have a record of the group’s incorporation or dissolution, Laudner declined to comment further. 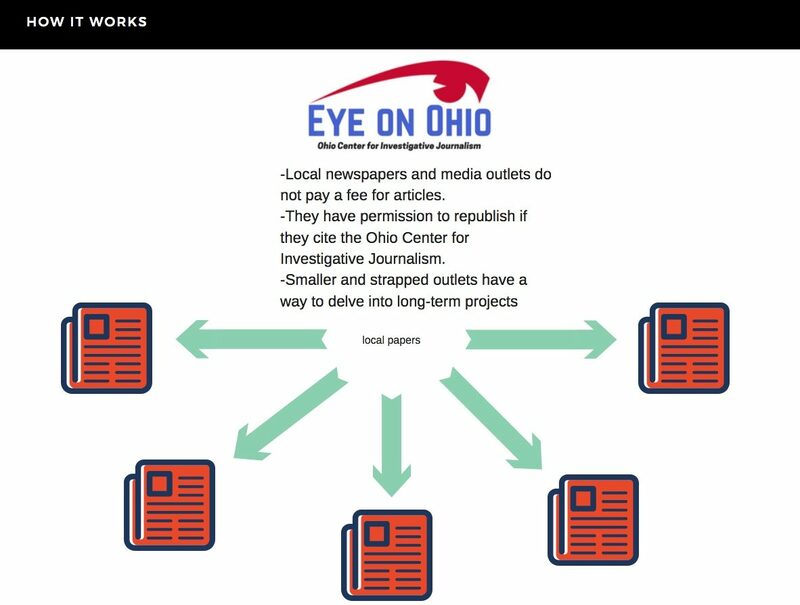 Eye on Ohio contacted Laudner in May. In July, the supposedly defunct nonprofit filed disclosures with the Federal Elections Commission. Eye on Ohio asked the IRS if they planned to take any action against CLA Inc. By law, 501(c)(4)s must file an incorporation form within 60 days. The penalty for failing to file is a fine of $20 per day up to a maximum of $5,000. The IRS declined to comment, because of taxpayer privacy laws. Hagan lost her primary election this spring and will be out of office in November. She said she thought the solution was greater disclosure of campaign finance laws.